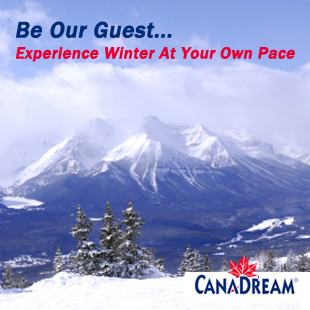 CMI Publishing has provided our readers with at least one contest prize or prize package each year since the launch of Experience the Mountain Parks in the spring of 2006. In 2012, we introduced a Trivia Quiz, through which you can enter to win extra prizes. During this contest, we’ll be asking a question about railroads that Graeme Pole has written. We’ll also be featuring a classic photo that he has supplied us with. To enter, simply submit your answer, your name, and your email address. If you answer the question correctly, you’ll be entered in a draw for the book The Spiral Tunnels and the Big Hill by Graeme Pole. Celebrating twenty years in print, The Spiral Tunnels and the Big Hill chronicles tales of daring, disaster, and defiance on what was the second-steepest mainline railway track ever operated in North America. Maps and diagrams reveal the operation of the Spiral Tunnels, and help you to understand how they create a safer grade for today’s trains. 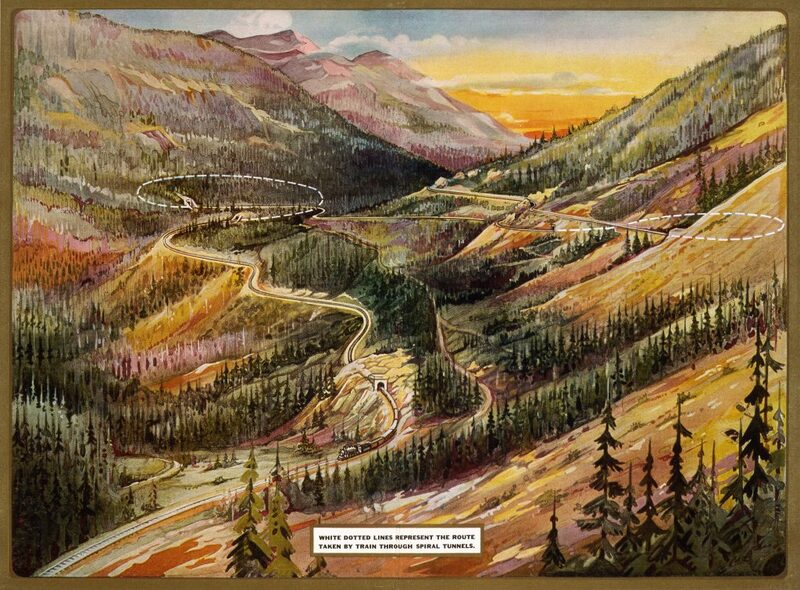 The book’s tremendous selection of archival photographs illustrates the evolution of railroading through Kicking Horse Pass. Revised in 2016, the text provides up-to-date information on railway operations, locomotives, and rolling stock. Click here to listen to a radio interview with Graeme about the Spiral Tunnels. 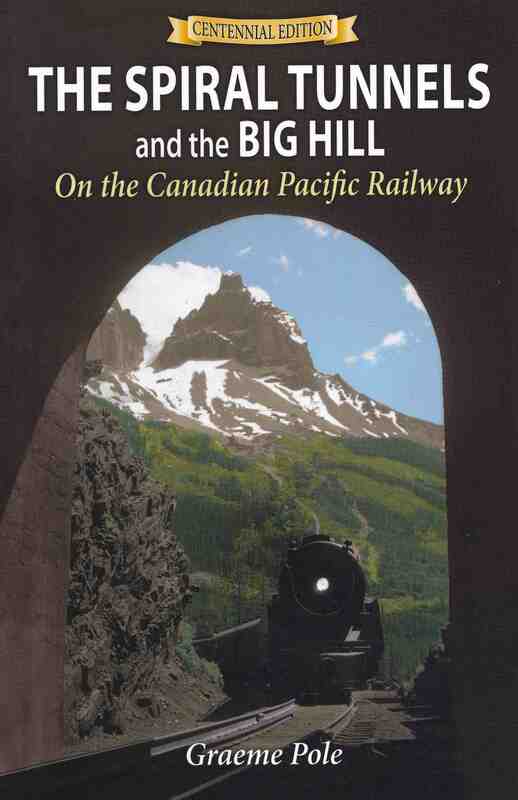 A Canadian best-seller, The Spiral Tunnels and the Big Hill is informative and entertaining reading for railway enthusiasts, as well as for those with a more casual interest in the human history of the Canadian Rockies and Yoho National Park. Eligibility: Employees of CMI Publishing and the contest sponsors are not eligible. Contestants may submit one entry per Quiz (one per month). Entry Deadline: Each Quiz will run for a full calendar month. Entries will be received until 11:59 pm on the last day of each month. What is the current maximum length of trains on the CPR in the mountains? The winner of each Quiz will be selected by random draw from the list of Entrants who successfully answered the Quiz question that month. Please allow 3 business days after the end of each Calendar month for us to announce the winner. Rights: CMI Publishing reserves the right to showcase the names of all winning contestants indefinitely within printed and digital editions of Experience the Mountain Parks, on the CMI Publishing website and within contest promotional material.